A sunny day after so much rain, after so many gray days, is a gift that shouldn’t be wasted. A dozen chores awaited, but so did the sunshine. 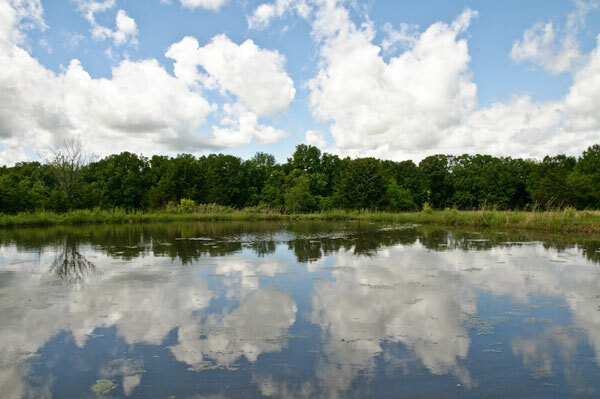 There were skies to watch, clouds to study, reflections to ponder. So I played hooky for a while in the back pasture. 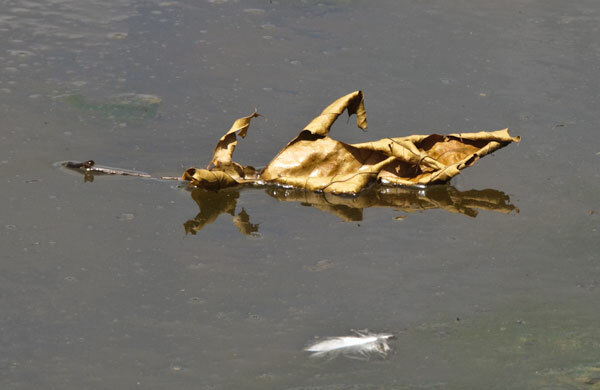 I watched feathers and leaves float on the water and wondered what bird lost the feather floating next to last year’s dried out oak leaf. 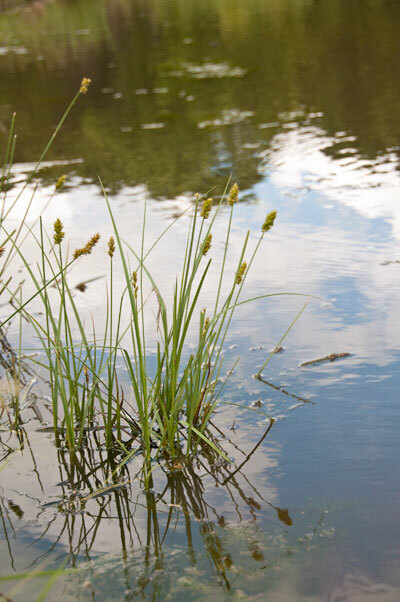 I noted the increased quantity of waterside weeds and looked for tadpoles and frogs among them. 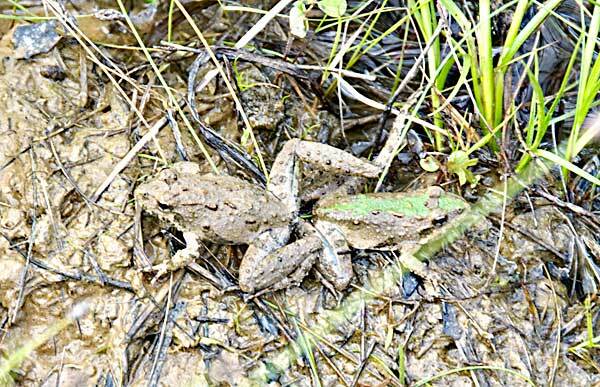 I stared at the mud until I could the two frogs that blended in so well with their surroundings. 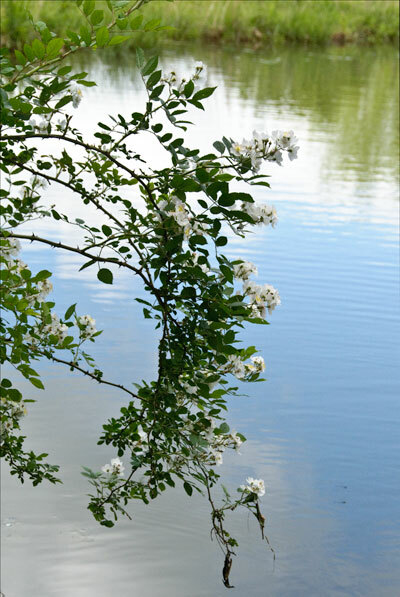 Then I sat for a while on the pond bank near a wild rose bush and breathed in its sweet fragrance. 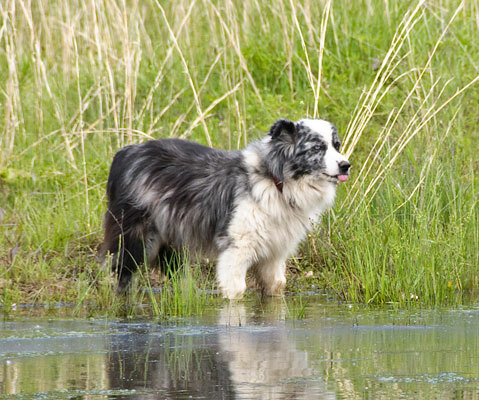 Across the pond, the old dog waded the shallows on the other side of the pond, drank, and made silly faces. 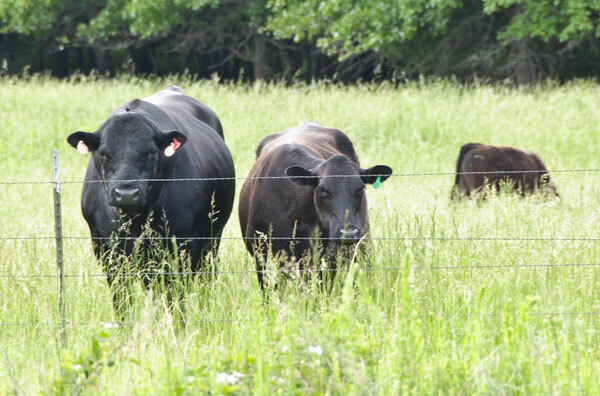 The neighbor’s cattle stared from the fenceline the whole time I was out there. They kept mooing softly, hopefully. I guess they heard about the sweet feed mix I serve at my place. NextNot The Mama . . .